Jedi Knights are imaginary heroes, Jedi LightSabers are real defense weapons: now you can learn a real defense technique using lightsabers. In real life the fencing technique may be applied with a wood stick (that old men always use here in Italy) or objects found on the street. The Jedi Master will try also to change student's mind. He hopes to teach a defense technique and a life-style too: a real Jedi way of life. There are no security risk: sabers are pvc led weapons, not sharpened, without blade. Jedi school don't sell lightsabers during lessons. 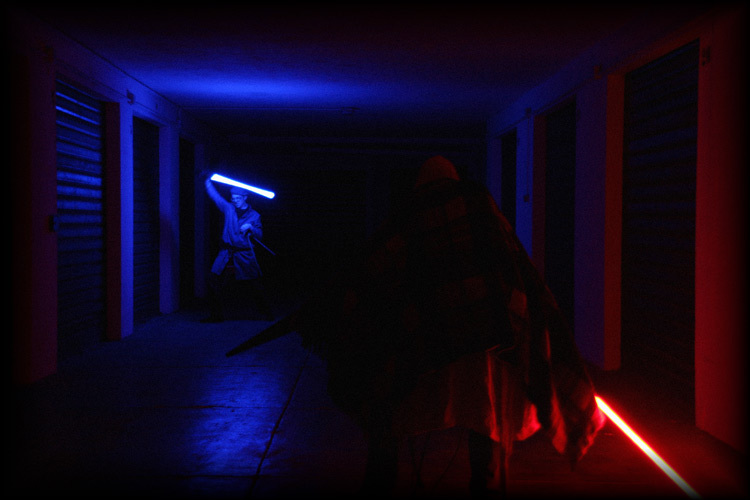 If You want to join the Italian Jedi Confraternity, write an e-mail to info (at) gipoco.com for any information.